If you are assessing a small group of employees or are a returning customer wishing to buy additional seats, you may purchase a keycode with up to 20 individuals using the Buy Now button below. Larger purchases include administrative support and access to the full Engagement Accelerator Launch Kit. 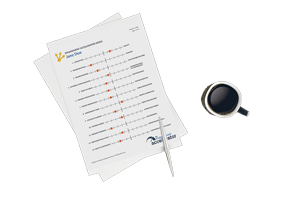 The Launch Kit includes sample communications that you may use to explain the process to your employees tips for effective implementation, as well as an overview of the individual and manager reports, and a full list of “Dos and Don’ts” for follow-up conversations between supervisors and their employees. INTRODUCTORY SPECIAL! $495 SETUP FEE WAIVED FOR ALL TIERS! *The more employees you have, the less you pay! Call (781) 281-7256 for details. New enhancements and features coming soon! Please submit your information to learn about updates.